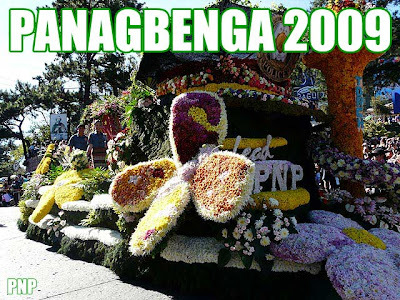 Panagbenga, the Baguio Flower Festival, is one of festivals of the country which we can truly consider world-class. I was there two years ago and was excited that I would be able to witness the Flower Float Parade again this year. We left Manila at 11:45 p.m. last Saturday to make it just in time for the parade Sunday morning. After dropping off our stuff at the hotel, we made our way to Session Road where the crowds were already building up. By 7 a.m., you could no longer move! Good thing I was a special guest this time around so I didn't have to compete with the crowd. As always, the floats were wonderful and grand! 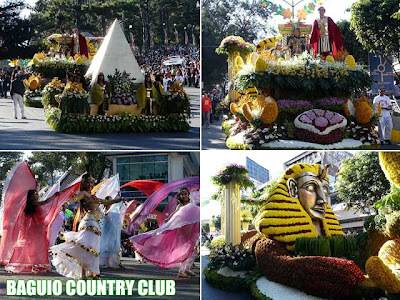 Some of my favorite floats were Baguio Country Club, Greenwich, Abanao Square, Marinduque, PNP and Jollibee. And my favorite drum and bugle corps from the University of Luzon was there as well. 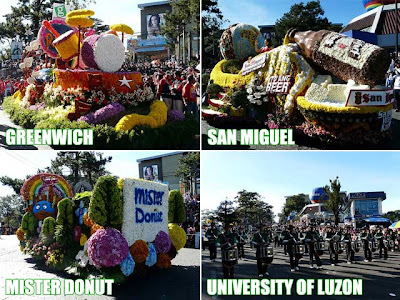 Below is a video of the St. Louis University Band playing the Panagbenga march. The parade lasts about an hour and a half. So if you're in Upper Session Road, it should be done by 10 a.m. while those in the Athletic Bowl don't get to see the tail end until about 11 a.m. I chanced upon my brod Atty. 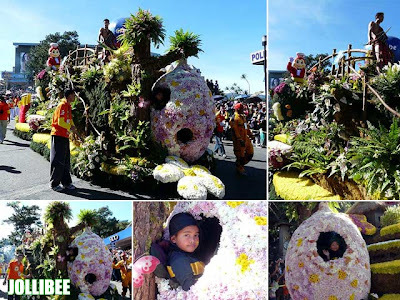 Dammie Bangaoet, the founder of Panagbenga, during the parade. 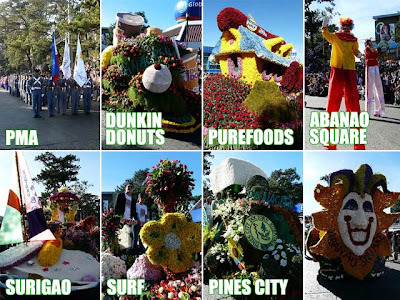 He must be really proud that fourteen years after they first organized the Panagbenga, the festival is now truly world class! It was a very quick trip and I left Baguio that same evening. Just some tips, make sure you buy your bus tickets early and ask a friend in Baguio to buy your return ticket in advance so as not to join the throng of people trying to get a ticket. Travel was so convenient for us since we planned ahead. And thanks to Victory Liner's De Luxe buses, trips are so comfortable and really quick. Hopefully next year I'll be able to see and experience this finally! that san miguel beer float is so cool! everything looks great, too! Great shots! How were you able to get behind those barricades! lucky you. i had to compete for a position to have decent shots. it was agreat festival and would definitely go back again there next year.